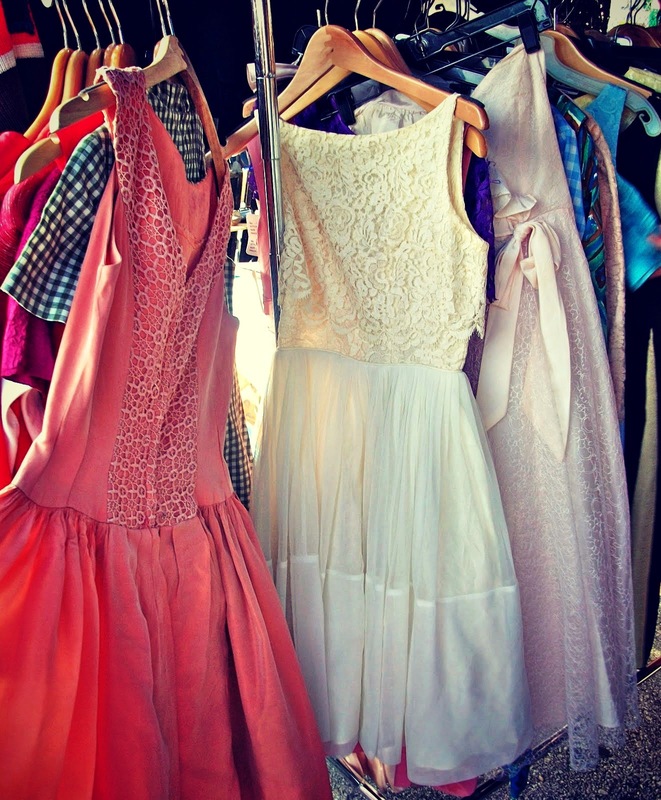 Trash To Couture: 6 Reasons to Thrift Shop. 6 Reasons to Thrift Shop. 1) They're inexpensive and if you're lucky you might find a few items that are valuable for nothing. 2) Eco-friendly: Thrifting is a less wasteful approach to the mass-produced fashion mainstream. According to Forbes "as a society, we consume 400% more clothing today than we did just 20 years ago." You can reduce your carbon foot print by simply thrift shopping. 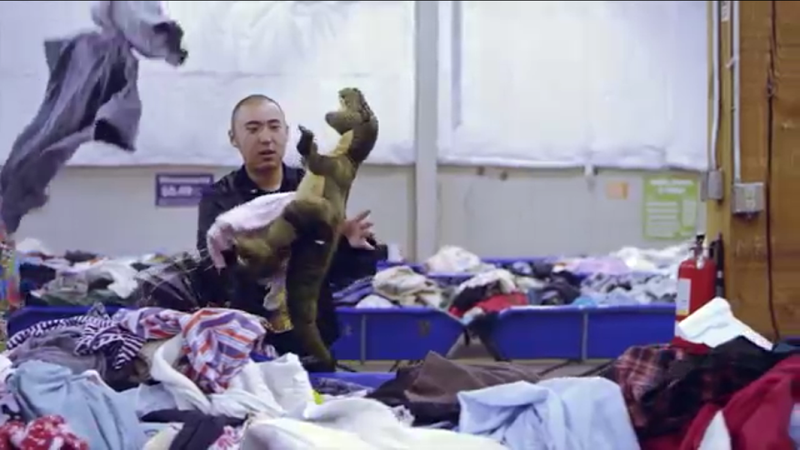 3) Charitable cause: Aside from providing low cost goods, thrift shops are active in community service. The Salvation Army provides housing and homeless services including food, shelter, educational opportunities to those in need. Goodwill is also active in providing vocational opportunities along with training and child care. Ask thrift shops before donating to see what their mission statements are. 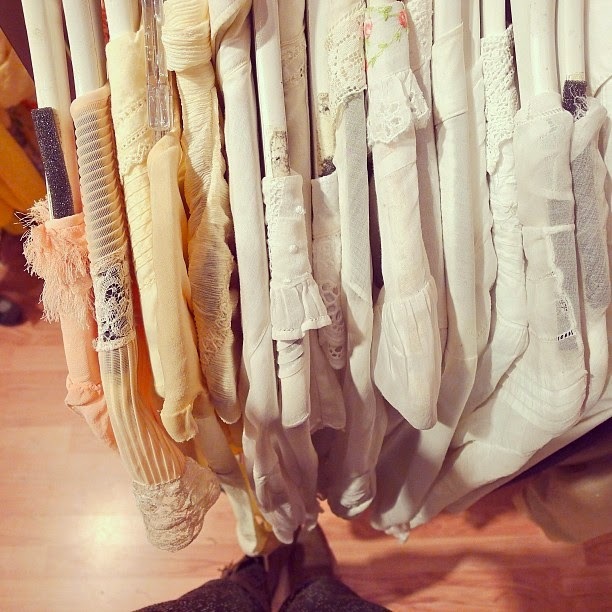 4) One of a kind/vintage: Some of my favorite items in my closet are from thrift shops. Vintage beaded flapper garments, 70's crochet blouses, hand knitted sweaters. If you look hard enough, you may find a few favorites of your own. 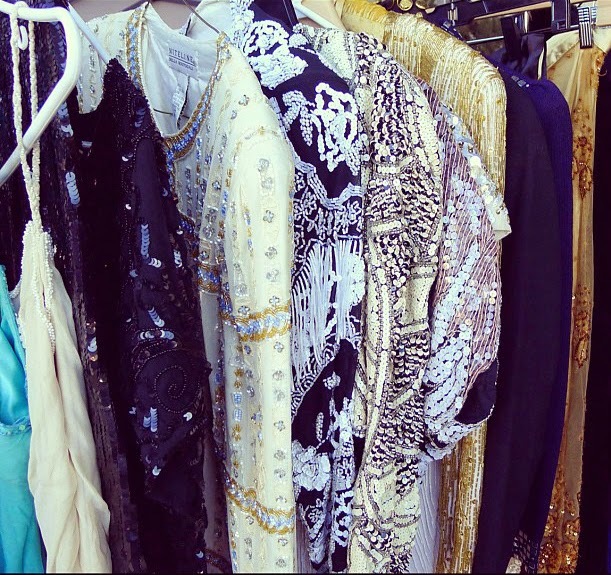 Hollywood Stylist Jackie Adams says, "accessories are her favorite at thrift shops. 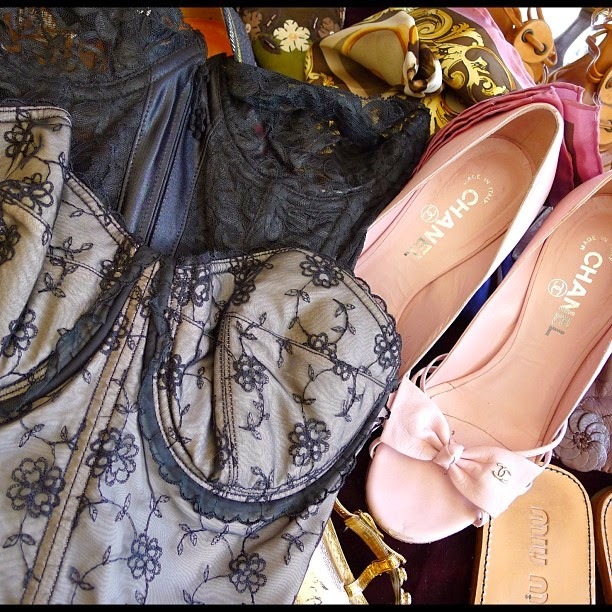 Look for vintage jewelry or designer pieces and handbags. Silk scarves and leather goods, although this stuff can be rare it's there." Another key tip, "look at tags, materials, dates for vintage items, and even where they're made." 5: Home Decor: Thrift shops are a dream for collectors and interior designers. Be on the look out for glassware, furniture, and art to use in your home. Favorite LA Airbnb host Corey says, "find unique things to use in your home. The little heart bowls (below) were handmade in France. I also look for original collector items like Andy Warhol's Campbell Soup." Not everything has to match either, "look for all kinds of different pieces to add to your collection, especially if you enjoy entertaining." The desk I use in my sewing room is a thrifted find. 6) It's fun: Aside from the array of projects you can come up with. I love the treasure hunt amongst the chaos of it all. It's a sense of victory. Now in the words of Macklemore go "pop some tags." It's a good thing. -No Hoarding: do you really need another plaid scarf? -Pricing: Is it a fair deal? You shouldn't feel "ripped off" especially considering everything is donated. -Cleanliness: Wash items once you get home. Make sure items are in good condition before purchasing. Check out my Guide to Thrifting post here for more goodness.